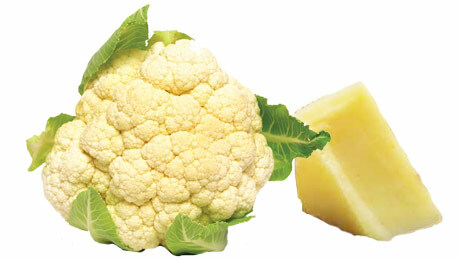 Place the cauliflower florets into a pan and barely cover with water and cook until tender. Meanwhile, melt half the butter over a low heat, then stir in the flour and cook for 2 -3 minutes until all the flour has been absorbed. Add the milk, a little at a time, stirring continuously until thickened. Add the cooked cauliflower, stir well and place in a baking dish. Sprinkle the breadcrumbs over the cauliflower/cheese mixture then melt the remaining butter and drizzle over the dish. Bake for 15 - 20 minutes until golden, mash to desired consistency. is it possible to freeze this? Hi Eileen. This dish is suitable for freezing. Once reheated, ensure it is piping hot through then allow to cool to required temperature before serving and stir well.